Advances in medicine happen at an astonishing speed these days, and thankfully, our community has professional, high-quality healthcare providers who are helping to drive these medical advances forward. At Vitality Medical, “it is our paramount responsibility to provide safe, effective treatments appropriate for patients needs and desires. We focus on each patients unique and specific needs based on the structural characteristics of the body and dynamic movement of the face. Now that we understand the changes that happen over time, we are able to utilize the best treatments available to achieve the most natural appearance possible. We strive to offer our patients the most cutting edge technology and state-of-the-art techniques in the industry while providing a caring environment with a focus on minimizing discomfort”. Dr. Toft also offers a variety of non-surgical procedures including Botox, Juvaderm, Restylane, Perlane, Radiesse, Dysport, and Photofacials. New additions to the office include Fractional Laser Treatments and the latest medical esthetician services on the market. These services include Image Chemical Peels, Dermasweep Treatments and customized corrective facials. If you are considering any facial plastic procedure, make an appointment with the facial plastic surgeon with a reputation for excellence, Dr. Kenneth M. Toft. Look younger, more relaxed and refreshed! Dramatically smooth, brighten and tighten your skin, or treat deep wrinkles or acne scars with laser skin resurfacing technology. You can look 10 years younger without surgery. Are you ready for a change? Minimally invasive "mini-lift" face lifting techniques result in natural, refreshing facial rejuvenation. Dr. Rice is an expert in rhinoplasty (nose re-shaping), eyelid tuck surgery, chin and cheek augmentation, and neck and jowl recontouring and has performed hundreds of body contouring procedures with liposuction. Reginald Rice, MD, has been in practice in El Dorado County for 16 years and has recently partnered with Marshall Medical Center to start Marshall Plastic Surgery. He has performed thousands of cosmetic surgical procedures and brings artistry and experience with caring concern to achieve the desires of each patient. Reginald Rice, MD is Board Certified in both Facial Plastic Surgery and Otolaryngology/Head and Neck Surgery and is a Fellow of the American Academy of Cosmetic Surgery. Mention Style Magazine and receive a FREE Clarity Pro computerized skin analysis. Call 530-344-2000 or 916-941-9161. Are you sick and tired of feeling sick and tired? Do you want to be treated as an individual? Revolutions Natural Medical Solutions is a fully functioning primary care clinic. Our doctors listen and focus on the cause of disease rather than covering up the symptoms. We are experts in developing treatment plans on a case by case basis because we know that each person is unique. As specialists in science based natural therapies we are able to safely coordinate the best that western medicine has to offer along with effective natural medicine. RNMS uses custom herbal formulations as well as diet, exercise, nutritional therapies, and intravenous formulations to give your body the tools it needs to heal itself. We treat everything from chronic diseases like diabetes and high blood pressure to general wellness, pediatrics, hormone balancing and acute conditions like the flu. To find out how naturopathic medicine can help you call 916-351-9355 (WELL) to schedule a FREE 15 minute consultation. Marshall Medical Center offers complete healthcare for the whole family. From primary care and hospital services to cancer care and advanced diagnostics, you don’t have to travel far to get the friendly, modern healthcare you deserve. No matter which physician you choose, you can expect personal, attentive care, close to home. Call for an appointment today. From top left: Lacey Russo, Assistant, Missey McCallum, R.N. “Liquid Face Lifts” are a great way to freshen up your appearance without surgery. Using dermal fillers, we are able to lift the cheeks and treat the jawline to minimize the appearance of jowls. This treatment, along with Botox® to soften or erase frown lines can visually take years off a face in less than an hour. Light based treatments to stimulate collagen to tighten the skin and treat lines and wrinkles are available. Photofacials can lift off age spots and treat redness. Sclerotherapy for spider veins is also welcome this time of the year. Dignity Medical Aesthetics also offers Obagi skin care, a prescription line for aging skin and acne, as well as Image Skin Care. Sherellen Gerhart, MD, offers removal of small moles and bumps with minimal to no scarring. Missey McCallum, RN, provides laser treatments and injectable treatments and Dena Kirkland, our Esthetician, specializes in facials, peels, waxing and SilkPeel microdermabrasion. We are celebrating our 5th year in El Dorado Hills. Known for our kind, professional, clean and competiviely priced services, please call us at 916-939-3889 for a free consultation. Capitol Internal Medicine Associates, Inc.
Capitol Internal Medicine Associates, Inc is a premier medical group practicing in Folsom. We have two highly experienced Internal Medicine Board-Certified Physicians along with a highly experienced Nurse Practitioner. Promotion of healthy lifestyles is the main stay in our practice. We see and treat a wide range of diseases and medical issues. We believe that as physicians it is our responsibility to combine our expertise and experience with patient input in decision making. Whether managing a chronic disease or an acute illness, we believe the best outcomes arise when patients are educated about their medical conditions and we pursue a treatment plan that patient understands and agree to. Our doctors are experts in managing multi-system disorders including diabetes, hypertension, cardiac, renal, musculoskeletal, gastrointestinal and pulmonary diseases. 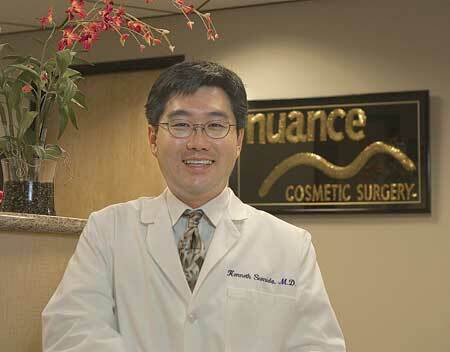 We also have expertise in Aesthetic Medicine which includes Botox injections, fillers, and chemical peels. Our ultimate goal is to provide the level of care that we would want our family (or ourselves) to be provided. Quality Medical (QMC) was formed to serve your immediate health care needs for the entire family. Most disease states are linked and treated with your current family social dynamics. Chronic disease states that are manifested in our life cycle are due to family genetics, nutrition, high risk lifestyles and environmental and economic factors. It is our mission statement to address these issues with a strong emphasis in prevention. Optimum health is defined by the balance of mind, body and spirit. It has been our priviledge to serve this area with the quality healthcare that you deserve. Quality healthcare for your physical and mental well-being. Dr. Kevin R. Hilton, M.D. Dr. Hilton is a board certified, fellowship trained sports medicine orthopaedic surgeon. Dr. Hilton did a Sports Medicine fellowship with the world-famous Kerlan-Jobe Orthopaedic Clinic in Los Angeles, serving as a team physician for the LA Lakers, LA Dodgers and the Anaheim Angels. He is an active member of the American Academy of Orthopaedic Surgeons and the American Orthopaedic Society for Sports Medicine. His interest and expertise include Arthroscopic and Reconstructive Surgery of the Knee, Shoulder, Elbow and Ankles as well as Adult Reconstructive Surgery (Joint Replacement Surgery) of the Knee, Hip and Shoulder. Dr. Dana R. Jacques, is an experienced and compassionate OB/GYN who provides exceptional and thorough care to women in all stages of life. Dr. Jacques enjoys the opportunity to treat and support women through some of the most challenging and transformative periods of their lives - teen years, childbearing years, and into menopause. Training includes medical school at The University of Pennsylvania and residency at The Ohio State University. She is board certified by the American Board of Obstetrics & Gynecology and is accepting new patients at this time. Please call for an appointment today or visit her website to learn more. From the moment you enter Dr. Palmer and Dr. Baer’s office, you will feel right at ease in this state-of-the-art, peaceful and professional environment. Whether your needs are for routine eye care, glaucoma diagnosis and treatment, advanced cataract surgery, diabetic eye care or optical services, their professional friendly staff is there to help. As a board certified eye physician and surgeon, Dr. Palmer is very well respected among the medical community. His standards are very high and that is why he carefully selected Dr. Baer to join his practice and meet the ophthalmic needs of the area. Both doctors have very high standards and it shows. Thank you to all my patients for voting for me as your favorite Dermatologist in the Style Magazine's Readers' Choice Awards for the El Dorado County Foothills. It continues to be an honor to be your Dermatologist and your confidence in me is appreciated. I look forward to caring for you in the years to come! We hope to see you in 2011. Have a Happy and Healty New Year. And thanks also to Style Magazine for publishing the annual Readers' Choice Awards to afford me the opportunity to thank my patients for their loyalty. Robert L. Cameto, M.D., Hunter S. Greene, M.D. Paul M. Sasaura, M.D., Robert M. Tamurian, M.D. 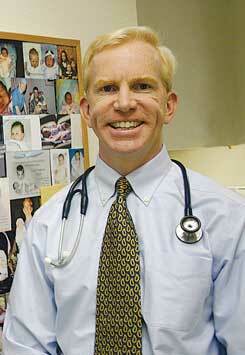 Board Certified Physiatrist: Sean Colio, M.D. For 25 years, Northern California Orthopedic Centers has been Saving Lifestyles of patients of all ages. NCOC provides advanced treatment for a broad range of orthopedic conditions and offers immediate access to care through its Orthopedic Urgent Care Clinic. Back: Carlos E. Soto-Albors, M.D., FACOG, Michael J. Murray, M.D., FACOG, John E. Gould, M.D., Ph.D. Since 1992, Northern California Fertility Medical Center has provided care for couples in the region with its board-certified fertility specialists. We offer a full range of infertility services including in vitro fertilization, egg donation, artificial insemination and vasectomy reversal. We are proud of our high success rates and are committed to providing the highest quality care. Our physician staff includes: Janice Andreyko, John Gould, Michael Murray, Satin Patel and Carlos Soto-Albors. Visit us at www.ncfmc.com.